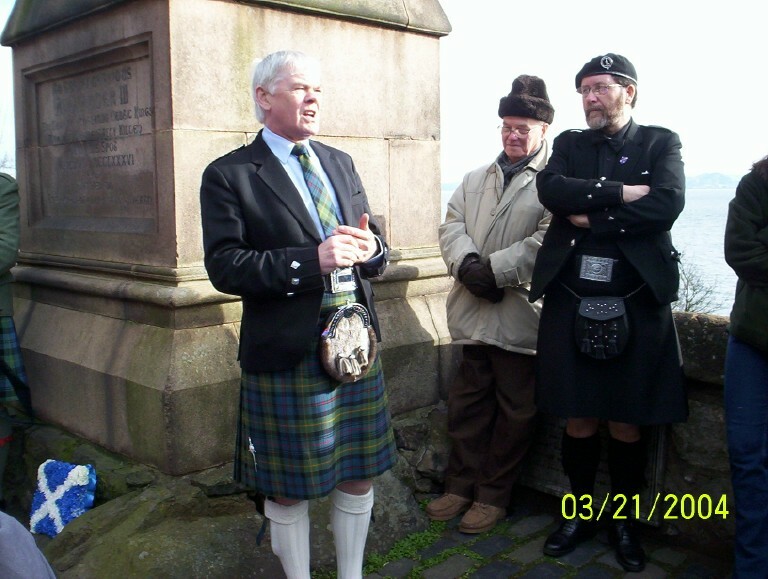 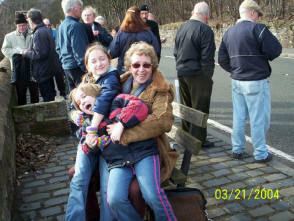 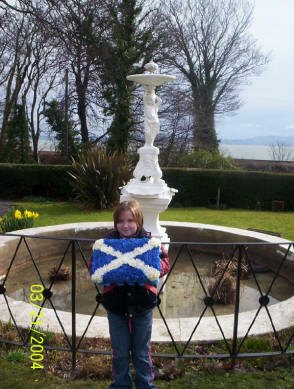 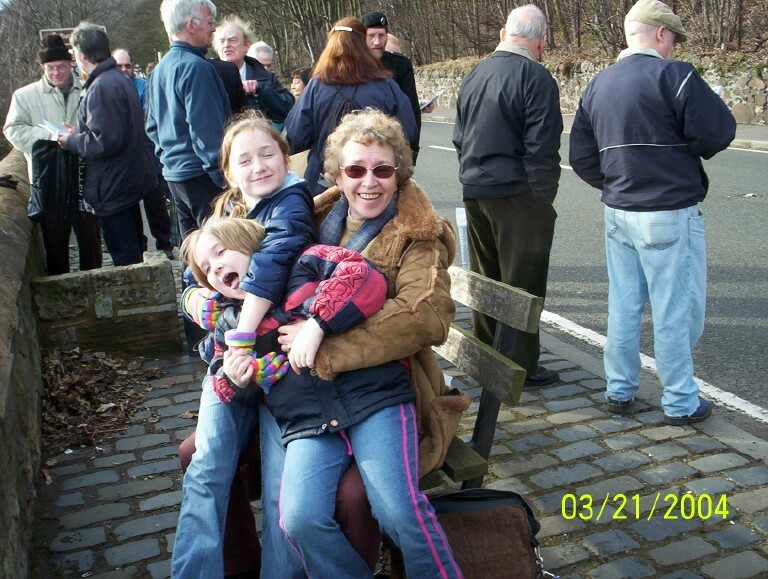 A cold but dry day greeted the annual gathering at the Alexander III Commemoration held at Pettycur, Kinghorn, on 21 March 2004. 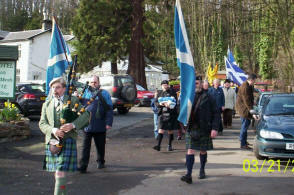 Piper Robert Todd led the march from the Kingswood Hotel to the Alexander III Monument. 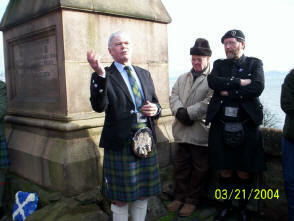 Fine speeches by historians James Halliday and Ian Scott were much appreciated by those attending. 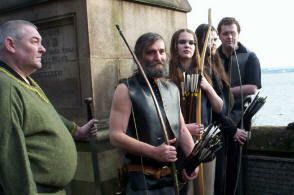 Making their first public appearance for 2004 were some members of the Fife-based Black Serpent Medieval Archery Group and their archery instructor William R MacBride laid a wreath in memory of Alexander III (1249-1286) and The Golden Age of Scottish History.The meeting ended with 'Scots Wha Hae' played by Piper Todd. 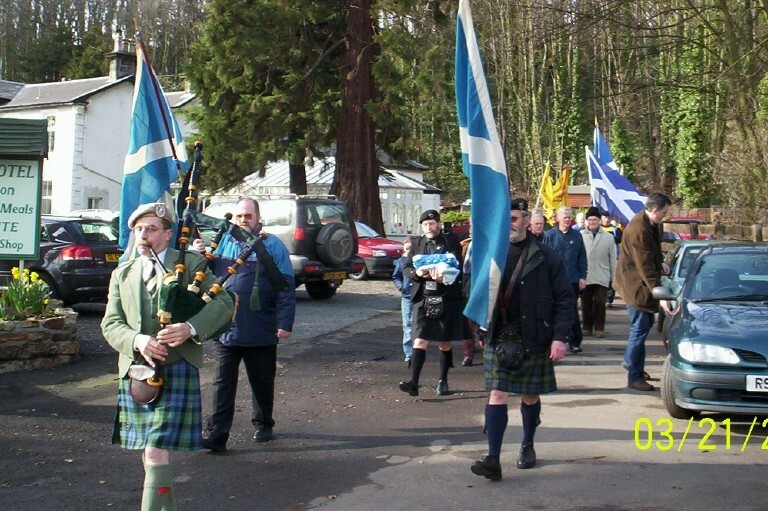 Organiser of the annual event Peter D Wright told 'The Flag' that next year's Golden Age Commemoration will be held on Sunday 20 March and historian and author David R Ross has been invited to be among the guest speakers. 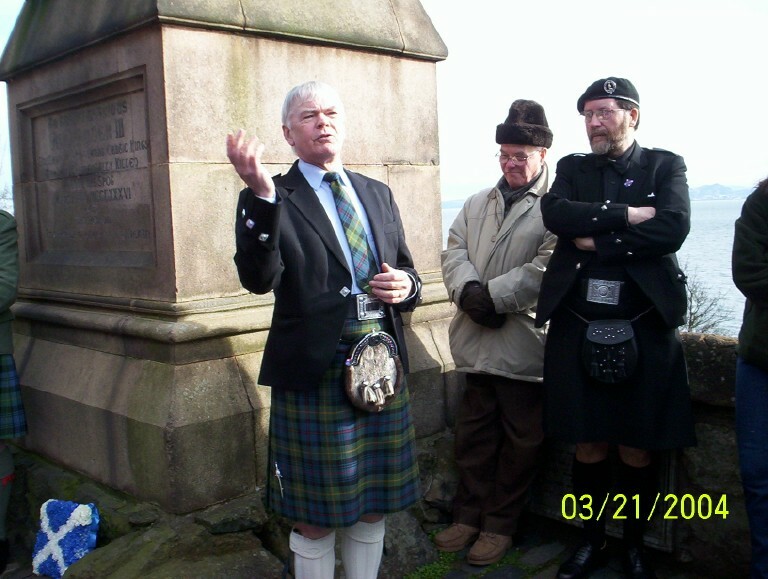 In August 2005, David R Ross is to walk the route taken by Sir William Wallace, after his capture by the English at Robroyston, to his judicial murder in London. The walk will march the 700th anniversary of Wallace's murder by Edward Langshanks of England on 23 August 1305.